The kimono is a Japanese traditional garment worn by women, men and children. The word "kimono", which literally means a "thing to wear" (ki "wear" and mono "thing"), has come to denote these full-length robes. The standard plural of the word kimono in English is kimonos, but the unmarked Japanese plural kimono is also sometimes used. 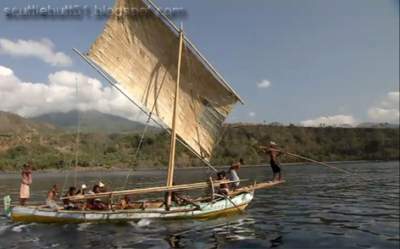 An equatorial village in Lembata Island, (Lamalera -Indonesia) - youths attain their manhood by proving their skill in the island's traditional method of hunting whales and mantas, etc. 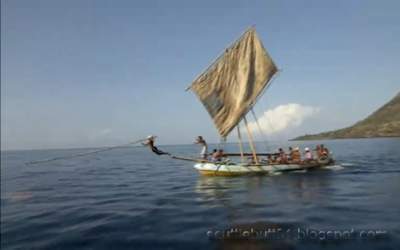 When a boy turns 15, he can join a crew of ten on a wooden sailing boat to hunt for whales. Every youth's desire is to become a lamafa who catches his prey with only a single spear. 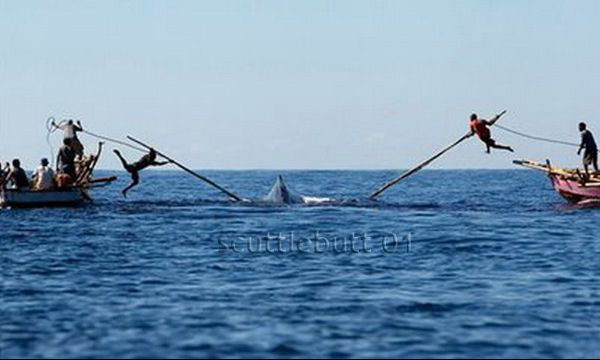 When a whale or manta is caught, it is divided among the crew members. 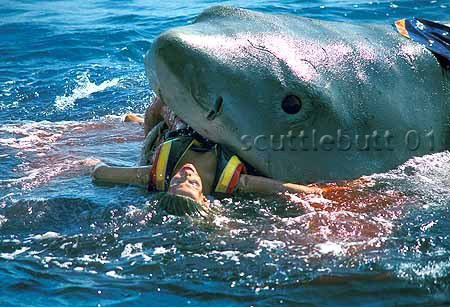 The catch is not only for themselves. The women bring the meat to the village to barter for other goods such as corn and crops. Looking for the Big Catch shows the life of the village people and youths, who know the secret for coexisting with the bounties of the sea. 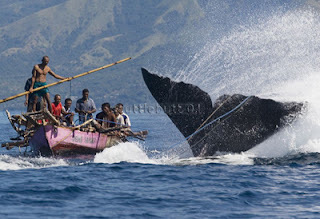 Lamalera is a whaling village located on Lembata Island (INDONESIA). 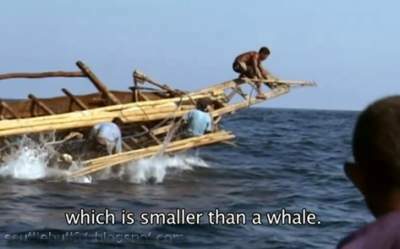 During the months of May through to late August is the whale hunting season for the people of Lamalera and these traditional whalers are known as Lamafa and use simple traditional tools, small row boats and hand-thrown harpoons to ply their trade during the whaling season. 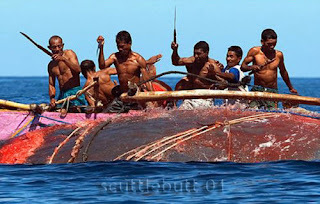 Whatever they catch nothing is wasted as it is either consumed or sold. 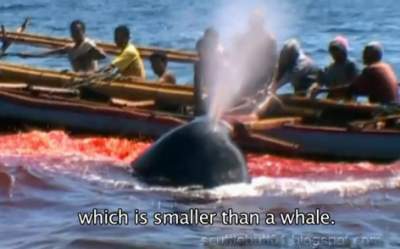 Established hundreds of years past and as far back as before the intrusion of Catholic missionaries, the villagers hold traditional rituals to commemorate their ancestors and for blessings for their whale harvest. 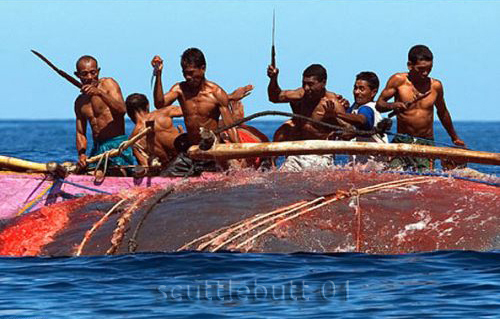 An interesting fact is that the traditional whalers of Lamalera are forbidden from killing Blue Whales. 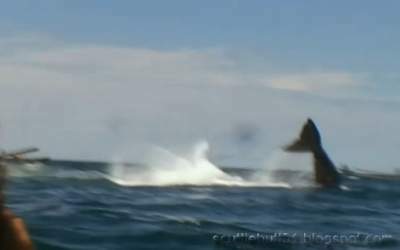 There are several other species of whales found in the Sawu Sea but it is the Blue whale that is, some would say, sacred and untouchable. Copyright © scuttlebutt 01 .